The C/N Group is aggressively expanding its hotel acquisition and development activities. The firm’s team of experienced hospitality professionals is constantly looking for suitable opportunities, including the refurbishment of existing hotels to the development of new properties on greenfield sites. Primary interest remains in the select-service segment of hospitality brands, while primary geographies will be within the Midwest, Southeast, and Northeast. 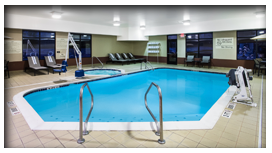 The C/N Group utilizes several accomplished design, architectural and construction partners when undertaking any project. The senior management team works with these vendor partners to minimize execution risk where substantial improvements are concerned. In addition to its own capital, the firm has the ability to bring outside equity as well as secure debt financing for the projects it undertakes. 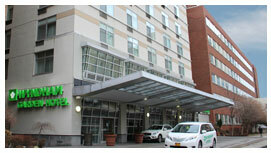 Developed by The C/N Group in 1998, this 100-room eight-story hotel property serves the expanding Buffalo Niagara Medical Campus (BNMC). Direct connectors provide covered access to both the Roswell Park Cancer Institute and the Buffalo General Hospital. It is the only property located within the BNMC, which at present has more than 17,000 full-time employees working on the campus. The C/N Group coordinated all aspects of the project, including feasibility analysis, facility design, construction design and coordination, and project financing. Our firm also manages the hotel and its Principals own 100% of the equity. The total project cost when developed exceeded $10.5 million. 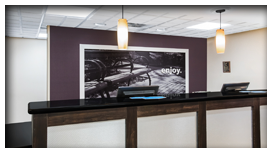 The acquisition of the Hampton Inn Cleveland Airport in July 2015 by an entity wholly owned and managed by The C/N Group provides an excellent example of the company’s successful acquisition platform. The subject property is an 81-room hotel located in Brooklyn, Ohio. The property is well-situated, located five miles from Cleveland Hopkins Airport and ten miles from downtown Cleveland. The Brooklyn, OH market has extensive corporate office employment, retail and other demand drivers and amenities. The C/N Group sourced this opportunity through a third-party broker with strong coverage of the hospitality market. Our firm has invested an additional $1.7 million into the property to upgrade rooms, common areas and the hotel’s exterior. Financing for the transaction was secured via a $7 million CMBS loan from Starwood Mortgage Capital.